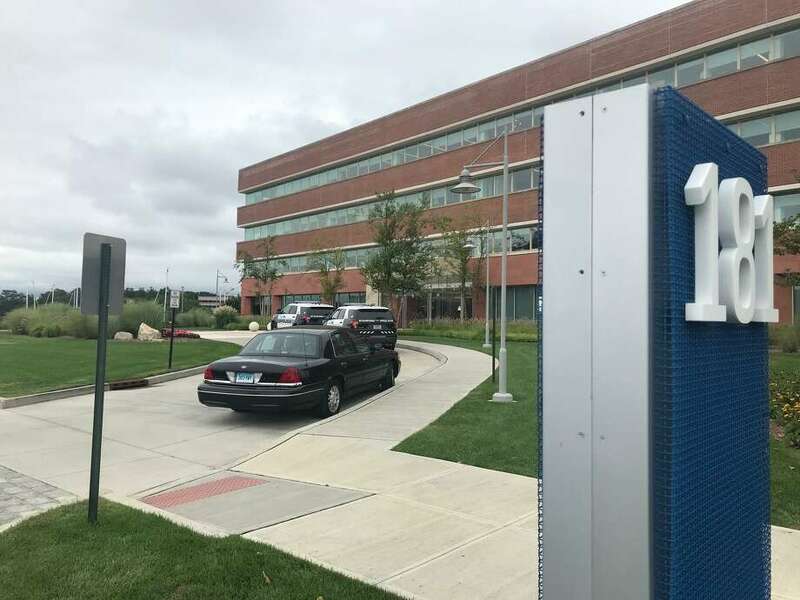 Stamford police investigate five gunshots that were fired into a Harbor Drive office building during the overnight hours on Friday. STAMFORD — Police say five shots were fired into a Shippan office building during the overnight hours on Friday. Police said the bullets shattered two plate-glass windows on the third floor of the Vineyard Vines building on Harbor Drive. Capt. Tom Barcello said investigators do not believe anyone was targeted in the shooting and no one was inside the building when the incident occurred. “The safety and security of our employees is our No. 1 priority,” said Nicole Sutliff, a spokeswoman for Vineyard Vines, who referred questions to Stamford police. The building overlooks the East Branch of Stamford Harbor. Barcello said the shots could have been fired from across the water in Kosciuszko Park or Woodland Cemetery. He said they could have also come from the hurricane barrier property or a passing boat. Barcello said investigators do not have a motive for the gunfire. Police on Friday searched the park, cemetery and barrier properties for shell casings or other evidence. A police K-9 also searched the area. Barcello said the double-paned windows made it difficult to determine the origin of the shots.